I received this book for free from Borrowed, Publisher in exchange for an honest review. This does not affect my opinion of the book or the content of my review. 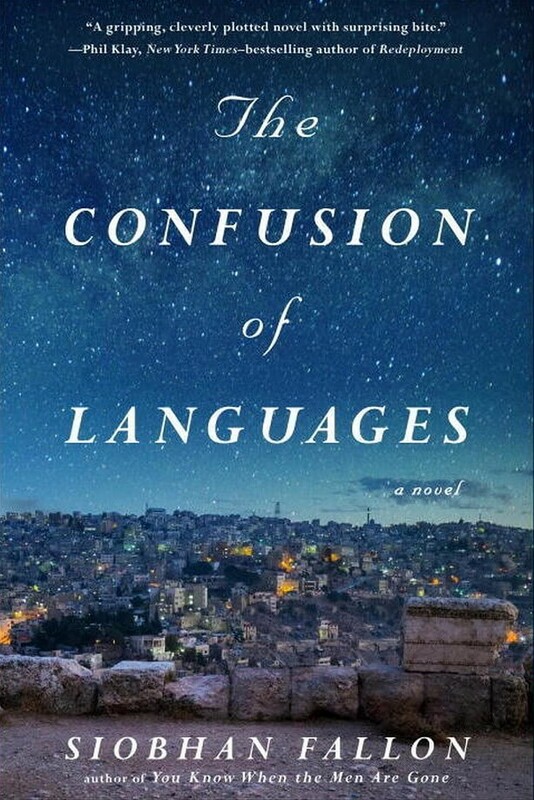 A searing debut novel from the award-winning author of You Know When the Men are Gone, about jealousy, the unpredictable path of friendship, and the secrets kept in marriage, all set within the U.S. expat community of the Middle East during the rise of the Arab Spring. Both Cassie Hugo and Margaret Brickshaw dutifully followed their soldier husbands to the U.S. embassy in Jordan, but that’s about all the women have in common. After two years, Cassie’s become an expert on the rules, but newly arrived Margaret sees only her chance to explore. So when a fender-bender sends Margaret to the local police station, Cassie reluctantly agrees to watch Margaret’s toddler son. But as the hours pass, Cassie’s boredom and frustration turn to fear: Why isn’t Margaret answering her phone, and why is it taking so long to sort out a routine accident? Snooping around Margaret’s apartment, Cassie begins to question not only her friend’s whereabouts but also her own role in Margaret’s disappearance. With achingly honest prose and riveting characters, The Confusion of Languages plunges readers into a shattering collision between two women and two worlds, affirming Siobhan Fallon as a powerful voice in American fiction and a storyteller not to be missed. Why Did I Listen To The Confusion Of Languages by Siobhan Fallon? The Confusion Of Languages by Siobhan Fallon appealed to me because it is essentially about two army wives. That is something I can kind of relate to, as my husband is a captain in the National Guard. Granted, I really face absolutely nothing like these women. However, there’s a little bit of kinship there. I went with this audiobook during a readathon because I have yet to have a negative listening experience with the two narrators. ALSO! I love listening to women’s fiction. I mean, I know we don’t use that term much anymore for a genre, but I am choosing to view the label “women’s fiction” as a badge of honor. The Confusion Of Languages is set in Jordan. It’s about two women, Cassie Hugo and Margaret Brickshaw. Both of their husbands are soldiers who work at the US embassy and so they’ve followed their husbands overseas. Cassie has been in Jordan for awhile. Margaret is new to Jordan. Cassie obeys the rules and customs and is pretty rigid. Margaret is excited for the opportunity for new experiences and really has a tough time falling into line. One day, the two are out and get into a small little accident. However, this requires Margaret to go back to the police station. And so, Margaret asks Cassie to watch her toddler son while she drives to go handle the issue. It takes longer than Cassie expected. So, Cassie snoops and finds Margaret’s journal and begins reading. The book then alternates between Cassie’s present day and Margaret’s past journal entries. Margaret still does not show back up. What happens is that we learn a WHOLE lot about these characters. And well, there’s this huge climatic ending. Also, there is a TON of drama. All while exploring the very different points of views of the two women this book is focused on. How Did I Like The Confusion Of Languages? I loved this audiobook. Sometimes I am not all in. However, something about Margaret and Cassie’s stories just resonated with me. I was so invested in this book. Like, there was a point where I looked up a small character’s name and this book title because I just wanted to flip ahead. However, with audiobooks that’s impossible. I was really on edge in the best kind of way. This book still sticks with me, a week after reading it. The Confusion Of Languages by Siobhan Fallon is not an easy read– at least not emotionally — but damn if it isn’t well written. The audiobook has two narrators – Jojeana Marie and Lauren Fortgang. Both are narrators that I LOVE. They really embodied Margaret and Cassie, respectively. I listened to the audiobook via the Scribd app and at a 2x pace. I felt like it wasn’t too hard to follow along with. It is 10 hours and 21 minutes long. This book is really well narrated. The production values are perfect. I think if you like women’s fiction and want to try audiobooks — you cannot go wrong with this book.